You will gain an understanding of the principles and accepted practices of the maintenance trade. You'll receive training in the use of testing equipment; precision measuring instruments; and electrical, mechanical, hydraulic, and pneumatic processes applicable to industrial machinery. Included are courses in electricity, fluid power, blueprint reading, safety, and applied mathematics. 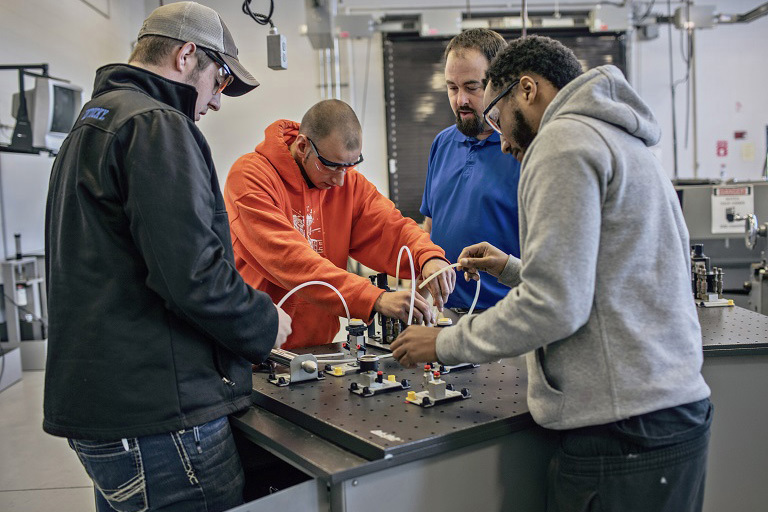 The Industrial Maintenance Technology degree or diploma will prepare you for careers with large and small businesses and industries seeking highly trained maintenance employees.